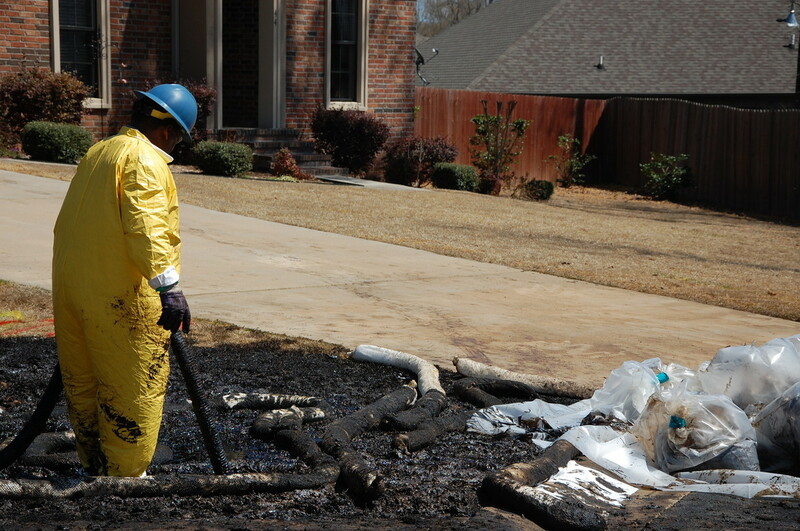 More on the Exxon oil spill in Mayflower, Arkansas. It’s fitting that I concluded yesterday by writing about the lack of positive headlines. The first headline that I saw is maddeningly negative, so much so that I want to walk to work everyday for the rest of my life. I never want to be in a driver’s seat anymore. I would rather ride my bike or take a train. However, this will not happen. I will continue my same hypocritical route to work everyday because that is the American way. This is one of those days when I hate being a part of the human race. The headline that spurred this rant is “Not Just Toxic, But Exempt.” The article beneath the headline shows a picture of an ordinary front yard in Mayflower, Arkansas, except that there is an worker in a hazardous materials suit cleaning up a spill from the out-of-commission Pegasus pipeline.